Poor irrigation practice will have a detrimental effect on both quality and yield, and cost you money! Why Schedule your Substrate Production? If you are running your crops at 30% run-off then you are simply wasting 30% of your water and fertiliser whilst creating an unhealthy tunnel environment - does this make economic sense? Good Irrigation management in substrate is the difference between success and failure. 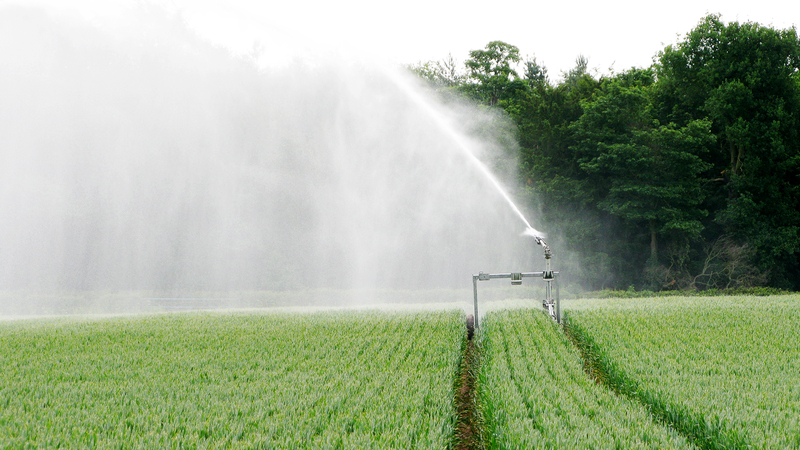 With little room for error it is vital that the irrigation system can deliver water and nutrients to the plants equally and evenly across your crop. To ensure your irrigation system is delivering it is worth investing time and money at this point in proper planning and design. 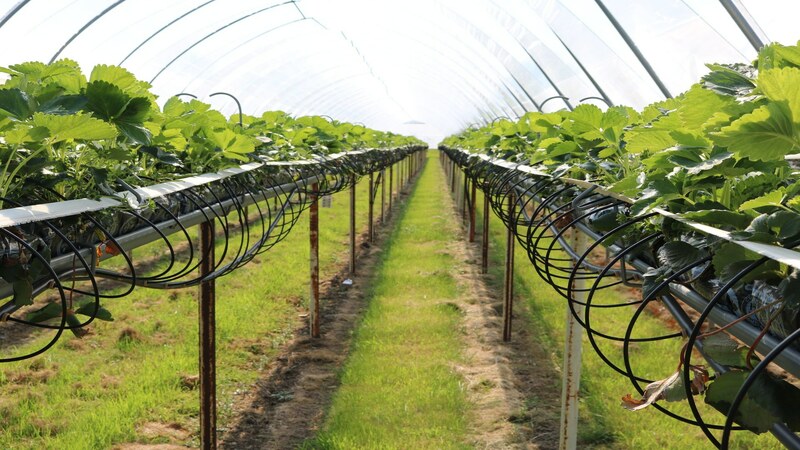 To ensure the probe data is representative, daily checks are required by the irrigation team on positioning of the probe, the plant material in the bag or pot, and the irrigation drippers providing the water and feed. Each client Login has a "notice board" together with a report area for all staff to reference whilst within their login page. The blue zone on the moisture graph is where moisture needs to be to achieve run-off. The time markers on the moisture lines are indicating when the moisture came back into the green zone. The top half of the green zone is medium squeeze territory, the bottom of the green zone is medium / hard. 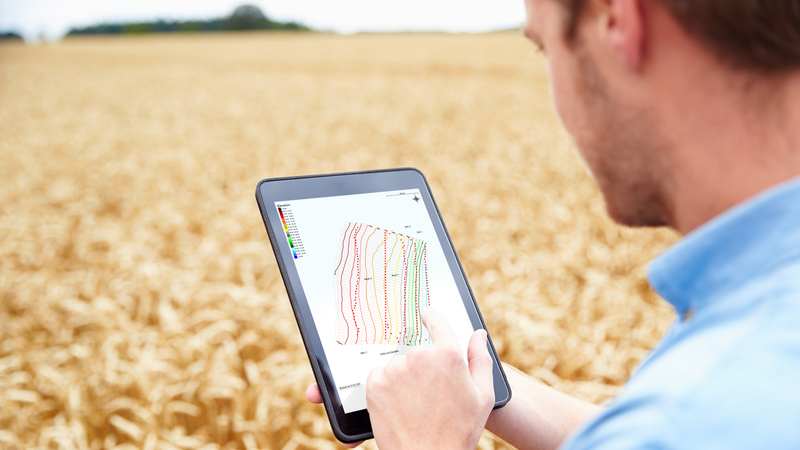 To avoid wasteful run-off and ensure uniformity, we recommend using the Agri-tech surveying service to obtain highly accurate and detailed information, from basic tunnel layout to detailed topographic data that the substrate system sits on. A detailed "picture" of the ground enables the irrigation team, together with the designer, to ensure that the system performs at its optimum, avoiding drain down once the system shuts down. Drain down must be avoided; therefore, choice of dripper and correct placement of any DNL (dripper non leakage) devices is essential. The DNL acts like a "canal gate" preventing drain down of the system once the valve closes. The DNL devices need to follow the contour lines of the land, meaning detailed contour maps are essential to help ensure uniformity. 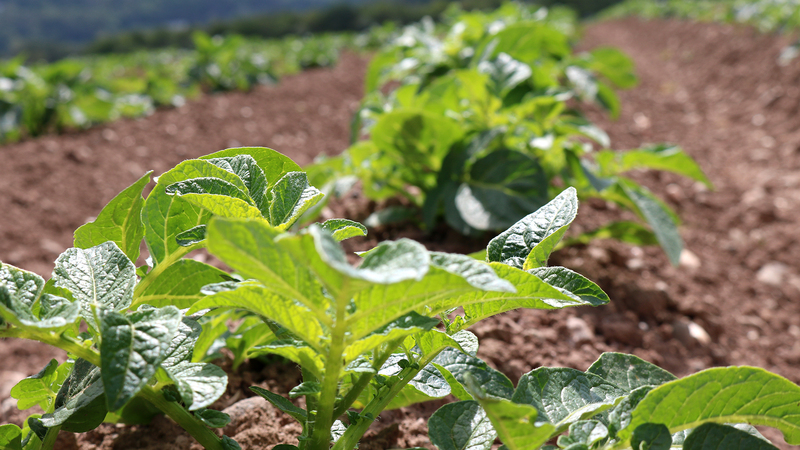 Having insured that the irrigation system is capable of delivering the correct quantity and frequency of water to meet the plant's demand, Agri-tech's Substrate Management Solution becomes an essential "tool" to understand the plant's needs. Using the moisture probe in either pots or bags, one is able to see "real time" the moisture content as it varies over time. The data is displayed in mm of water (an easy to understand format). From the probe data one can see exactly how many mm of water per day the plants are using, how many mm's are being applied each day to the pot/bag, and from this information one is easily able to adjust the number of irrigation events each day to match altering climatic conditions. Adding the Run-off sensor enables complete clarity as to when during the 24hr period the run-off is taking place, essential information for Precision Substrate Irrigation. To complete the "picture" temperature and relative humidity sensors can be added to the data logger in the probe electronics to see what impact the protected environment is having on plant water demand, and PAR light sensors can highlight the effect the glass or polythene is having on light within the growing environment.